Do you know 2016 US Presidential race between Mr. Donald Trump and Mrs. Hillary Clinton is going to be the first since 1944 that two New Yorkers battle for the Oval Office? First time in 71 years, a New Yorker will be the President of the United States of America. Be she/he a New Yorker or Hawaiian, what matters now is our country, the United States of America. Yes, patriotism is running high in our veins and we are proud to admit it. This is the time that we are celebrating the rich political traditions of our country that gave the world a living example of democracy. Let's celebrate the same traditions. Let's paint ourselves in the same fervour. 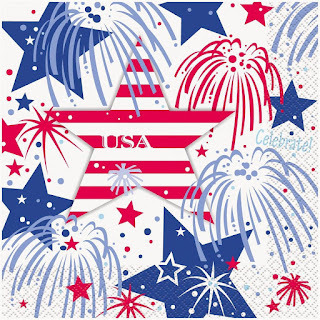 Let's party with the American dream. 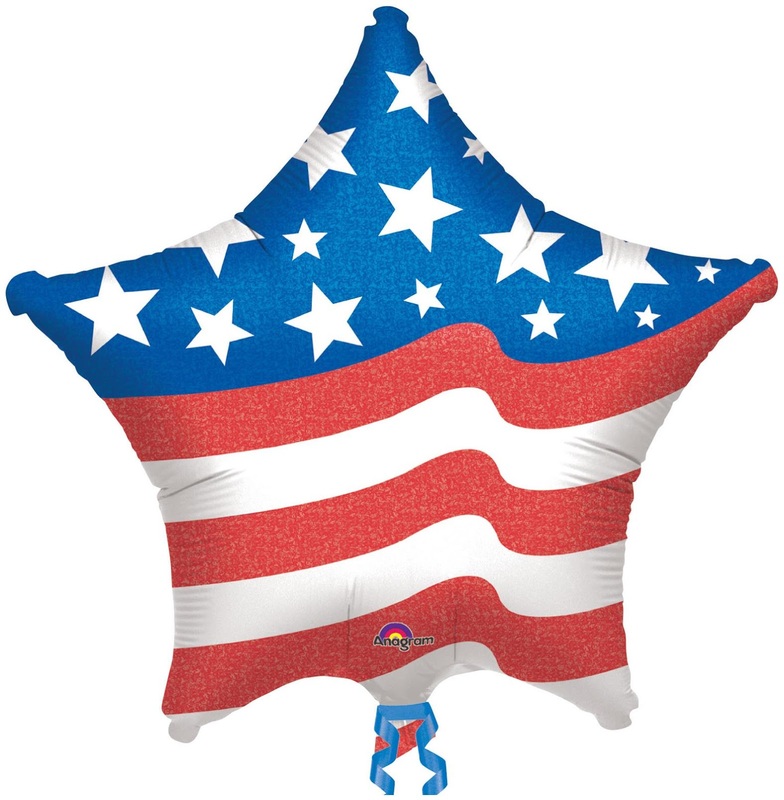 Party Bell is here to give party a patriotic touch. We have a wide range of exciting party supplies to brighten up your party. Foil balloons are hot favorite for their vibrancy. They are super easy to inflate and a rocking flavor to the party and when it is our own flag, nothing beats it! Let's add a twist to our party. Why not make it a star-studded affair? Let your spirits touch the sky! 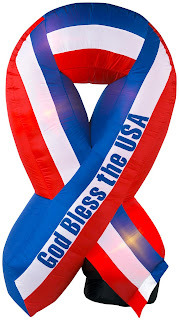 We have one amazing airblown inflatable USA ribbon. 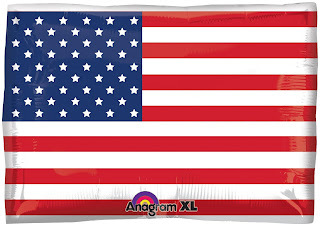 The ribbon measures approximately 72" high. 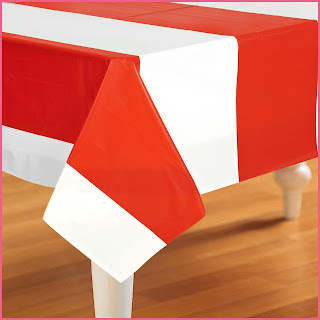 The ribbon is very easy to set up and can be used indoors and outdoors, both. It comes with a heavy duty fan that keeps it airblown. Lights create a stupendous glowing night display. You don't have to worry of its getting disfigured due to weather as the lightweight nylon is fade-resistant. 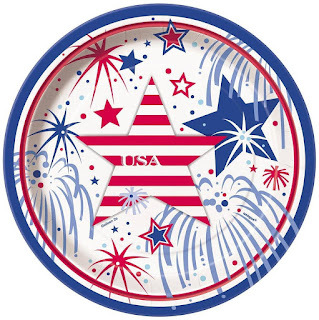 Now, let's turn our attention to spreading the patriotism in a platter. 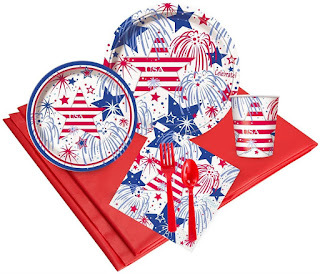 Even for serving drinks and snacks, we have a complete party kit that includes 8 dinner plates, dessert plates and cups, 16 paper napkins, 16 forks and spoons and a table cover. If you do not want to have the whole pack, you can buy the dessert plates and the napkins separately too. 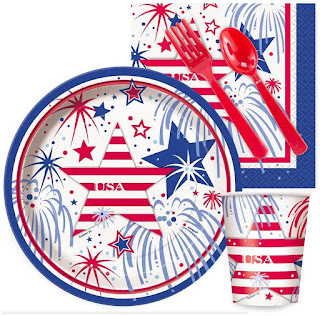 Or you can have the snack set of eight dessert plates, cups, spoons and forks with 16 beverage napkins. 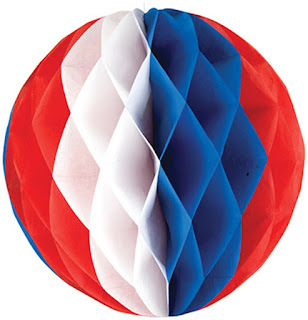 Last but at all the least, my personal favorite, honeycomb ball. 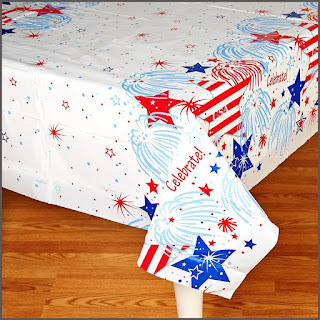 Use it anywhere to decorate your party. Find more options for your party at PartyBell and Party like Never Before!